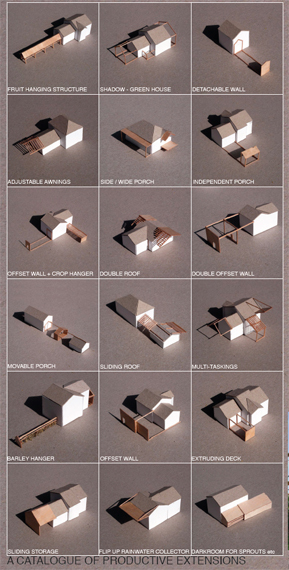 We propose an inward transformation of the suburban block. 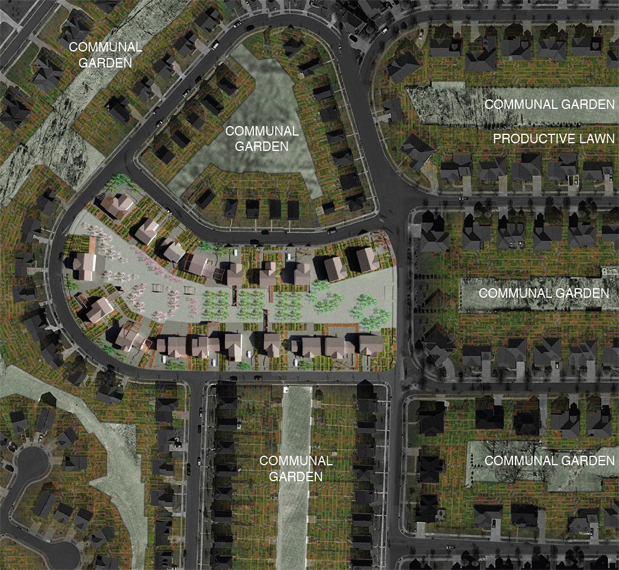 Through a process of neighborly negotiations, communal gardens can be formed at the heart of each block. 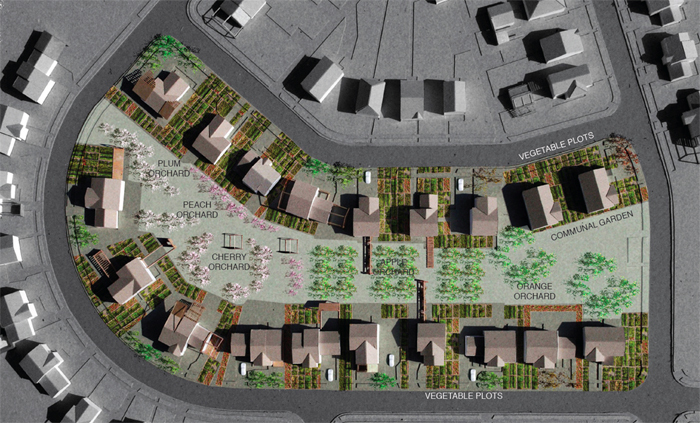 Each house will offer an area of lawn to be shared by all the residents of each block. 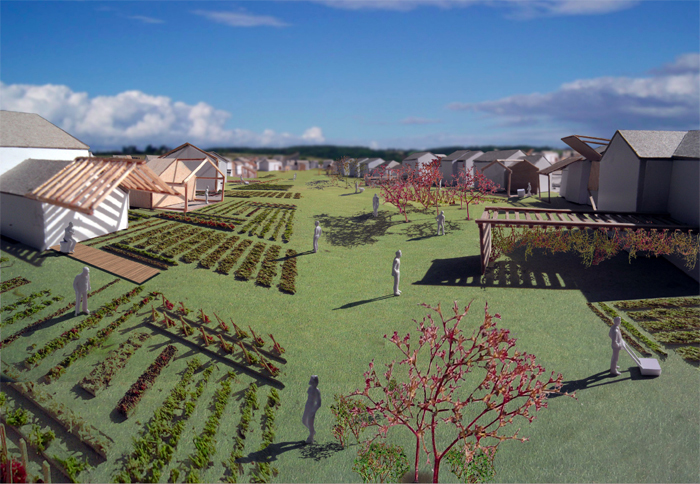 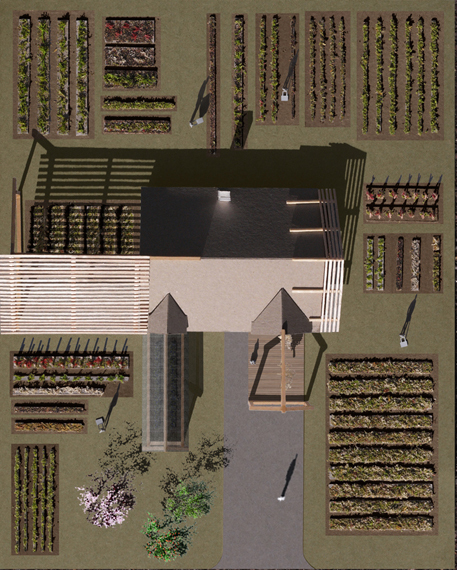 These communal gardens will become a shared resource for the production of fruit and vegetables, for leisure activities and for sorting and storage of produce. 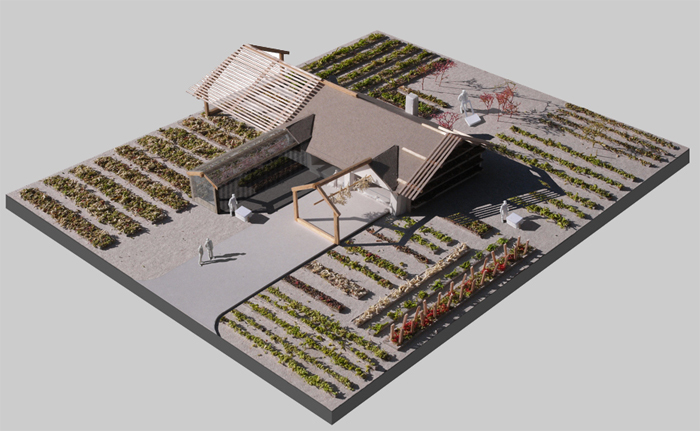 We envisage that different blocks will cultivate different produce and that a local economy of trading will develop over the seasons.